In Church during worship vasculat incense. His scent soothes, promotes good state for prayer and fellowship with God and your inner world. The same state of peace can be achieved and at home, you only need to ignite the incense. The first method of kindling the incenseand coal. To do this, take the coal, to kindle it. But in any case do not put the incense on glowing red charcoal. First, you need the coal to cool slightly. To do this, wait 10-15 minutes until the coal covered with ashes. After that you can put on it frankincense. The second method is the incense lit in the censer. It is necessary to heat the coal to a gas or electric stove red-hot, it is better to heat the coals on two sides. For convenience, you can use a large tweezer or forceps. Then the hot coal to put in the censer, and around him gently spread out the pieces of the incenseand close the lid. If you do not have censers, but there are oil lamps, you can ignite incense in the "spider". "Spider" is a special metal cap on the lamp. First, you need to light the lamp, then it is placed stand. On the stand is placed a piece of incense. If your incense is not pieces and powder, you must be the incense to break up into small pieces. Once the stand is heated by the wick of the lamps, the incense begins to exude a gentle aroma. It should be noted that Voskresenie incenseand the stand is longer, and the flavor is thinner, so the temperature under the spider below than coal. 1. Could be a bad oil. Buy vaseline, it's better than burning. 2. In the bad lamp wick made from unnatural materials. A fuse can be replaced by a piece of bandage. 3. Too thick a wick fitting tightly in the hole and not giving up on it. To resolve this problem, you need to pull a few threads from the wick so that the wick moved to float quite freely. If you don't have incense, but you want to feel the atmosphere of the temple, you will get a special incense candle. They are called "nuns". Used in their manufacture incense, aromatic components of coal. To clean the stand after it cools, substituting under a stream of cold water. Incense is a substance that is produced from the aromatic resin of certain plants in the Mediterranean region. Since ancient times it was used as a means of dealing with evil spirits: it was believed that the smoke from the combustion of pieces, repels all sorts of evil spirits. In the Christian religion, incense plays an important role. I believe that during the fumigation of premises of smoke of this substance is exorcised. In addition, this is known as a symbol of the prayers of Christians offered to God. Mainly incense is intended for the fumigation of churches, chapels, prayer rooms where believers gather. But you can also use incense and for fumigating private homes, apartments. It is not forbidden, but rather encouraged. Incense to use in the home must be purchased either in the Church shop, or in a specialty store, which operates under the auspices of the Church. According to religious canons, incense, bought from an atheist or a representative of any sect, will not have miraculous powers. Substance shall be burned by all the rules, that is, in the censer. Why purchase a bench in the Church a special container for the laity. After the incense begins to smoke should slowly around the room with the censer, going counter-clockwise. Fixture better gently shaken to smoke aromatics all touched surfaces and items. It is desirable to read out loud in prayer, loud and clear voice. Specify what prayer should be read during fumigation, no, so you can choose almost any, starting with "our father." How often should I fumigate the dwelling is also not specified, so every believer is addressing the issue independently, based on the degree of their religiosity, availability of free time etc. Can consult on this topic with a priest of his Church. 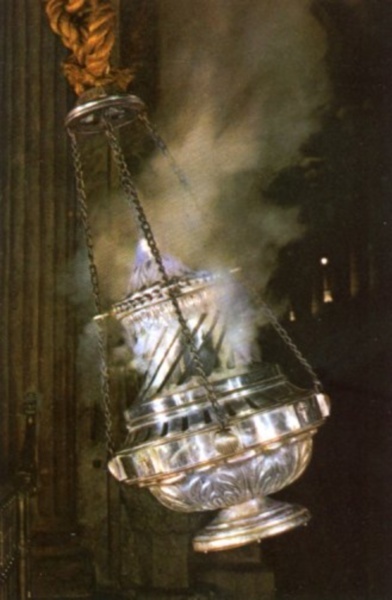 If for some reason it is impossible to acquire a censer, incense can burn through any metal containers – even flatware. Pieces of matter put into the recess drew and place it on the bottom over the flame of a candle. Very soon there will be smoke. Then, holding in one hand a lighted candle, and in the other a spoon with the steaming incense, go around the room, reading prayers. Such a modest censor will not affect the sanctity of the ceremony; as long as it is done with sincere faith in the heart. 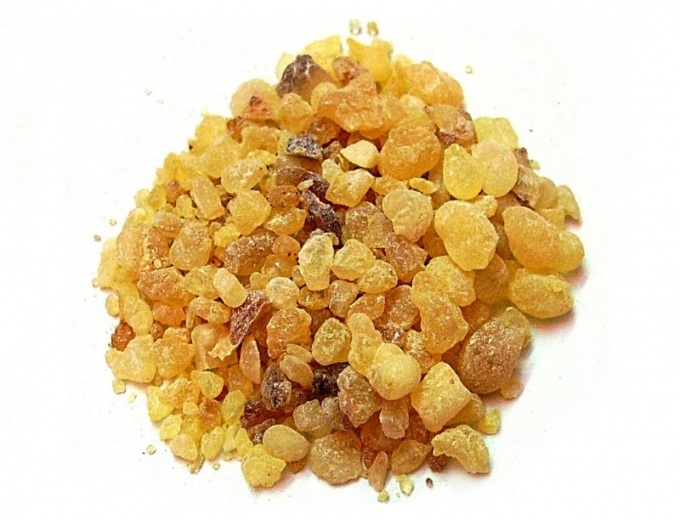 Frankincense is the dried resin of a small tree of the genus Boswellia carteri, growing on the Arabian Peninsula. During the burning of this resin emits a nice strong smell that was the reason for its use in the administration of the Church's Christian rites. Frankincense in ancient times was used as incense, and the Bible calls among the gifts that the Magi brought the newborn Jesus. The tree Boswellia carteri listed in the red book – his disappearance, of course, due to the fact that its SAP dries, it becomes precious resin. In February and March, when increases the secretion of the juice, on a tree trunk make the cut, which releases the liquid. It can flow long enough to cover the hardened pieces of the trunk. Then the resin is scraped from the bark and is harvested from the ground, where the dripping juice. It is sorted on the selected conventional incense. The choicest incense – large solid chunks of resin the size of a plum light yellow or rosavtodora color. Their surface has a waxy luster and is covered with fine incense dust that is produced when they RUB against each other. Frankincense, harvested in different places, differs in color and smell. Pieces it is easily pounded into a powder, for this purpose, a conventional marble mortar. Powder incense in Ancient Egypt was used as a basis for rejuvenating masks for face. It has long been used in medicine to treat a variety of diseases: rheumatism, colds, skin inflammations and infections of the urinary tract, nervous and stomach disorders. It is believed that it has antiseptic and anti-inflammatory effect, can be used as astringent, wound-healing, carminative, expectorant and sedative. 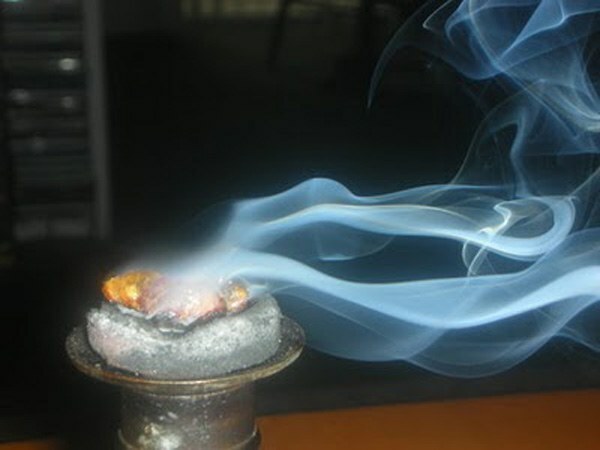 Of incense, by distilling the resin with steam, produce an aromatic oil used in aromatherapy. The oil appears pale yellow or greenish color, it mixes well with other spices: oil of sandalwood, geranium, Mimosa, pine, bergamot and orange. Such compounds are used in cosmetics for making soap, deodorants, and various creams. The smell of incense you can feel in many perfume compositions especially spicy Oriental. Sometimes it can be added to foods and beverages as a flavoring. Surely you felt a pleasant sweet smell, designed to immerse the man in awe and a kind of languor during Church services. It is nothing like a Church incense special incense, widespread in India and China and has a significant role in the conduct of Christian worship. Frankincense comes from a plant special ladannikovyh. A large number of these plants are brought from the Mediterranean, where herbs and flowers are very common. You can get frankincense and mixture of the conventional resin cedar, fir or pine, however, the process of ekstruzii will be somewhat complicated, because of the resins it is necessary to remove natural turpentine. 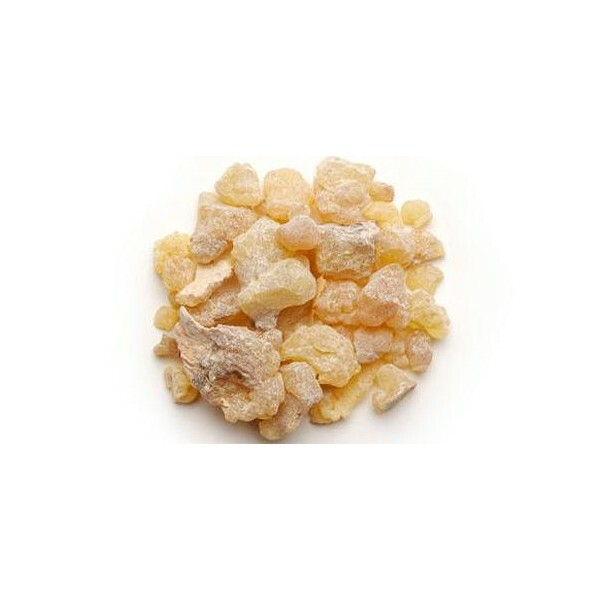 Feature of borrowed material in its pleasant sweet smell of frankincense resin has a tart flavor, after it often felt a bitter taste in your mouth. The "magical" properties of incense is understandable – the incense in its structure contains the same substances, and hashish. THC affects the brain, increasing serotonin. The highest quality and is considered rare frankincense from the resin of the tree boswellia is dewy frankincense, which is extracted from the Lebanese cedar. Often deliver it in the form of hardened resin, chopped into small bars. Bruski was settled by monks in the powder, usually white or pink in color, then tasovalis sacs and diluted oils to desired consistency. Frankincense was allowed to rest for about a couple of hours. Puffing incense has long been regarded as a form of respect and offering of a special sacrifice to the Supreme being, God. So the people from time immemorial tried to appease a higher power, to offer prayer and gratitude to the sky. Incense stood at the cradle of ancient Christianity, and the ancient Egyptians even mixed it with essential oils and used as a medicine. Today incense is isolated from the resin of pine trees and larches, is widely used in cosmetics and aromatherapy. According to ancient Christian beliefs of a small pouch of incense, bound to a pectoral cross, was able to ward off evil and protect man from the evil spirit, that hence came the saying "running like the devil from Holy water". Church incense was considered the main product to identify demons and wizards, pounded to a powder and added to the drink, he put the evil spirits in a state of confusion and allowed the Orthodox Christians to accurately identify dangerous and suspicious individuals. Rites "hysteria," or translated into modern language of exorcism, the exorcism, is also accompanied by ignition of the same Church incense and the expulsion of the evil spirit from the patient through a crack necessarily ajar. Incense in Russia carried out the so-called "opahivanie", when the reading of prayers and incense were stoned grooves to exclude morow and all sorts of misfortunes to the crop. It is the frankincense in ancient times in the treatment of respiratory diseases, in particular tuberculosis, as the frankincense put at the bedside of people suffering from severe pain. There was even a special incense books in which were recorded all costs for Church incense, scrupulously lists churches, monasteries and their inhabitants, which were given in the use of valuable incense. The smell of incense is a symbol of the higher, divine world, which is a major force in the confrontation with the devil, the lower worlds. 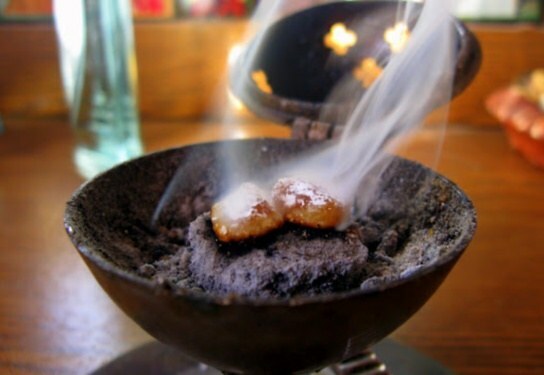 As a powerful way of communication between the priest and laity in the performance of ritual worship and the reading of the prayers, the incense with a nice steaming it with frankincense today remains deeply revered religious tradition.